Head: It’s badly designed, smells terrible, is covered in barnacles, and has a tragic history. 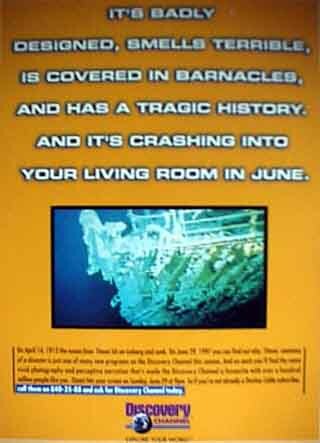 And it’s crashing into your living room in June. 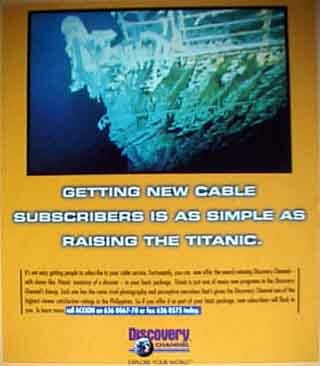 Head: Getting new cable subscribers is as simple as raising the Titanic.